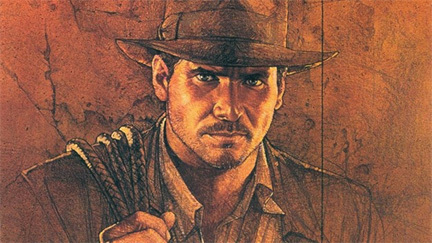 Dr. Henry Walton Jones, Junior was an American archaeologist most famously known as Indiana Jones or Indy. During World War I, he used the name Henri Defense, and went by a number of aliases throughout his life. He was married at least twice, fathered a son and daughter, and had several grandchildren and great-grandchildren. Throughout his career, Jones found numerous famous mythological artifacts, including the Sankara Stones, the Ark of the Covenant, the Holy Grail, and the Crystal Skull of Akator, which placed him in conflict with different groups across the globe. Indiana Jones at Reel Art consists of Real Props from Films, Prop Replicas, Classic Toys and other items relevent to Indiana Jones Genre. Some Prop Replicas (Idol, Ra Headpiece) were actually made from Molds taken off Real props.